How often do you bump into questions like these? Friends and colleagues often ask for recommendations, and most of us are all too happy to jump in with a referral. On the flip side, when you find a just-perfect item or the absolutely BEST brand of something you use on a regular basis, what’s the first thing you do? Tell someone! Ditto for an amazing customer experience. Your customers are no different. 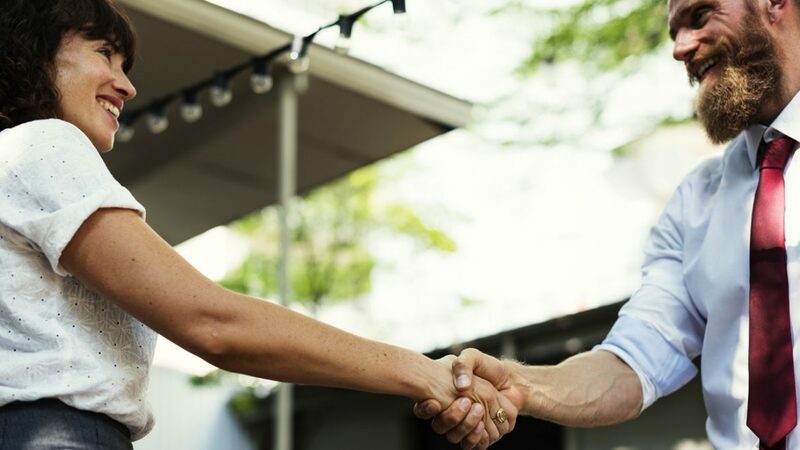 When customers are bowled over by your company’s products or services or impressed with the extra level of attention and care they got from you, they’re likely to spread the word. The catch is, you don’t want to let that happen by chance—and you don’t want to wait around passively until ‘likely’ turns into action on its own. The key to getting customer referrals is to make it something that’s easy and inviting to do. And that’s where a well thought-out customer referral system comes into play. It’s not complicated—in fact, a good referral system is mostly plain common sense—but it does benefit from a little thought and planning. Here are our top four tips for using referrals to drive business. Who doesn’t like getting rewards? Especially if it’s for doing something you’d do anyway, getting a little thank-you in the form of an up-front incentive or an after-the-fact gift is always well received. If you already have a customer rewards programs, look closely at how you could incorporate referrals into the system. For example, if you use a points system or a similar discount rewards program, could you add on Refer-a-Friend cards? The specifics of referral cards will vary from business to business, but the general idea is this: Existing customers take a referral card, write their own name and email on the card, and give it to a friend. When the friend brings in the referral card and makes a purchase, the referring customer gets a reward. The Refer-a-Friend reward could be in the form of points—maybe fixed points for any new card brought in to the store, or a range of points corresponding to the friend’s purchase amount. The reward might also be a small gift or samples to be picked up in-store during a special promotional period, or it could be a fixed percent discount off the referrer’s next purchase. It doesn’t have to be big, but it should be perceived as valuable. However you set it up, adding referrals to an existing rewards program helps your business grow and helps your customers feel special. You’ll appreciate the new and recurring business, and your customers will appreciate the extra perks. Even if you don’t have an official rewards program in place, you can still make sure your customers benefit from referrals. When a new client walks through the door or a new customer makes a purchase, always ask, ‘How did you hear about us?’ If they mention another client or customer, make a note of it. Then look for a pattern. Who’s giving the highest marks? Who’s referring the most customers? Who’s referring the most valuable customers? Then take a look at what the referring customer got from your business to start with. What was the source of the referral? A particular product or service? Or the way it was delivered? The relationship? The quality? Something extra? The more you understand about what’s behind a referral, the more insight you’ll have into how your business is perceived and how your strengths actually matter to customers. Tracking, of course, also gives you a specific customer or client to thank. Say they bring in a significant amount of new business, try adding a surprise discount to their next invoice. Or include a small but valuable free service or a sample of new products. Even something so simple as a good old-fashioned thank-you note does wonders—maybe even accompanied by a small gift. Goodwill goes a long way. It strengthens relationships, increases loyalty, and encourages more referrals down the line. And tracking helps you stay on top of it. Have a lot of online sales? Consider adding an online referral program to your website. Applications like Referral Candy allow you to ask for and track referrals within the online shopping experience. Online referral programs give shoppers an incentive for sharing their experience immediately with friends and family. If customers are already on your site planning to make a purchase, use that momentum to engage with them. Feedback and referral options keep customers focused on the need you’re meeting and the solution you’re providing, while prodding them to think of others who might also want something similar. Don’t be afraid to simply ask. When you know a client is happy with the service or product they got from you, ask if they know anyone else who’d be interested. Especially if you’re in a niche industry, it’s likely your customers know others who are looking for a business just like yours. Also ask for reviews. Direct referrals can carry more weight with potential customers, but reviews can help a tire-kicker decide if what you have to offer might actually be just they’re looking for. Before getting referrals, of course, you first have to deliver outstanding products or services. But once you know you’re meeting—and even exceeding—your customer’s needs, leverage that to reach a larger audience and let others know what your business can do. Happy customers are usually happy to help —so don’t miss an opportunity to let those customers help promote your business! Those are some of our top tips. How does your business reward referrals? What methods have worked best for you?